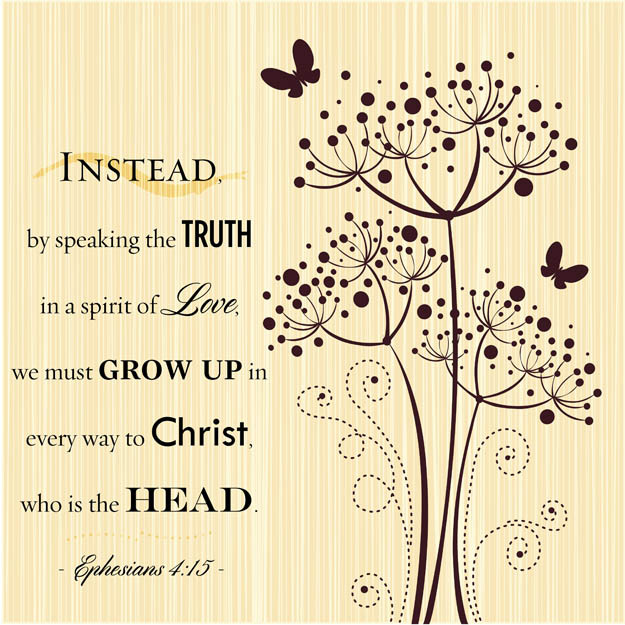 Speaking the truth in love, this term is found in Ephesians 4:15 in the Bible. We will be speaking on what it is and what it is not. First of all speaking the truth in love is not about telling someone what you really don’t like about them in a self–righteous, judgmental attitude and then saying I’m sorry but someone needed to tell you this. So I’m just speaking the truth in love sister or brother for your sake because you need to know it and hear it from somebody who cares about you. You’re not speaking the truth in love you viperous little snake, that’s not speaking the truth in love. There is a world of difference between what is TRUTH and what is TRUE. It may be true that a person has a bad temper, but the real truth is this, if that person has accepted Christ, they are a new creation in Christ. 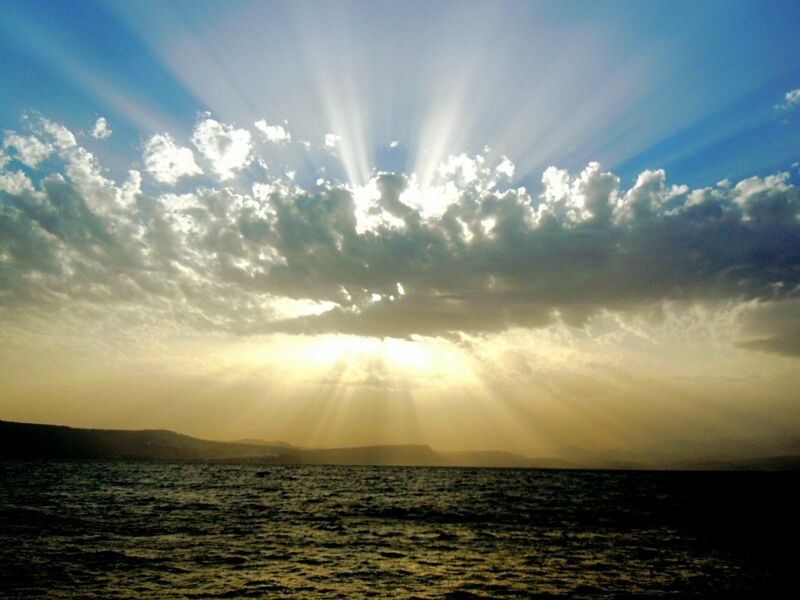 Old things (original, times, conditions) are passed away; behold, all things are become new. 2 Corinthians 5:17. So when you tell a person what’s wrong with them or what you don’t like about them, your not speaking the truth about them. Your speaking what is true about them, big difference. In John 14:6 Jesus said, I am the way the truth the life. It is the truth that sets us free. Speaking something true over someone will not set them free. You just shackled them with chains and fettered them even more in their difficulty and problem. If you really want to speak the truth in love and you see someone acting out of character of who they are as a child of God. You should say man what’s going on this is not who you are that’s your old man talking. You shouldn’t be talking like that or acting that way. You remind them of who they are now in Christ, their true identity, the new man not the person they use to be. You connect with who they are in the Spirit now, not how you see them behaving. Somewhere behind that behavior they are displaying there is usually some kind of struggle going on and they need someone to remind them of who they are and how Jesus sees them. Remember Jesus always speaks to us by how we are known in Heaven. He sees us through His blood that has been applied to us and that is how we should respond to one another. Accountability is not calling one another out on our stuff, it’s calling one another up to our real identity. Accountability says, you don’t need to be doing that, because this is who you are now. Did you have a senior moment and forget? Well this is who you are remember? This is being a true friend and we all need one from time to time. The real truth though is this, the Holy Spirit is always there to help us if we will just pay attention and listen to our heart when He convicts us that something is not right. We like to call it our conscience. Like when you say something or act in an ugly way toward someone and hurt them and immediately your Spirit man is grieved and you know immediately that you should not have done that. But your pride won’t let you go back and say please forgive me, I should not have said those things. When our heart convicts us we need to pay attention and not ignore those warnings and ask for forgiveness right then. Our spirit immediately lets us know we have not only offended the person we acted ugly toward but we have offended and made our spirit man sorrowful that is why we feel grieved. We must realize that the Holy Spirit is a divine person living within us and He has a personality just as we do. We can grieve him in many ways when we act out in a sinful manner whether it be in our thoughts or deeds. Just as we do not like to be grieved and we do not want to quench what is good in us, so we should not grieve or quench the Holy Spirit in us by refusing to follow His leading. This will hinder our ability to walk in a Godly lifestyle. The Holy Spirit wants to express Himself through our actions. When we do what we know is wrong, we suppress Him from revealing himself as He wants to in our life. One of our first obstacles to conquer in our christian walk is negativity. Negativity about ourselves, others, the world around us and even negativity about God, doubt and unbelief. Let us remember that it is TRUTH not that which is TRUE about a person that will set them FREE and remember that to speak that TRUTH in LOVE is to speak to their true identity which is in the new man they are now. When we speak the Truth in Love it should be to cause a person to grow, an inward growth, to cause to give the increase, to enlarge that person to bring about a maturing in Christ it is a process that we are all going through. Remember that next time before you decide to speak the truth in love. Maturity is not the possession of gifts of the Spirit, but the production of the fruit of the Spirit. The God-like quality of a moral life led and directed by the Holy Spirit who gives us victory over our flesh. This is the valid evidence that one is God’s child. Maturity is not an end in and of itself but a continual growing and progression that none has attained but Christ.